Remember when you were a kid and adults would say 'don't talk to strangers'? And then when you became a teenager and it was all 'don't meet strangers from the internet'? And then when you reach adulthood, you think 'screw that, I'm going to Latvia with a stranger from the internet!'? Well, maybe not exactly those specifics, but that's how it worked with me. I got talking to Hayley years ago and when we finally met up in real life, we decided to do it in Riga airport. It may have been a bit of a risk to book a three-night stay with someone I'd never met, and I'm not gonna lie- I was a little bit worried we might find out we hated each other but, thankfully, that wasn't the case. At least not for me. 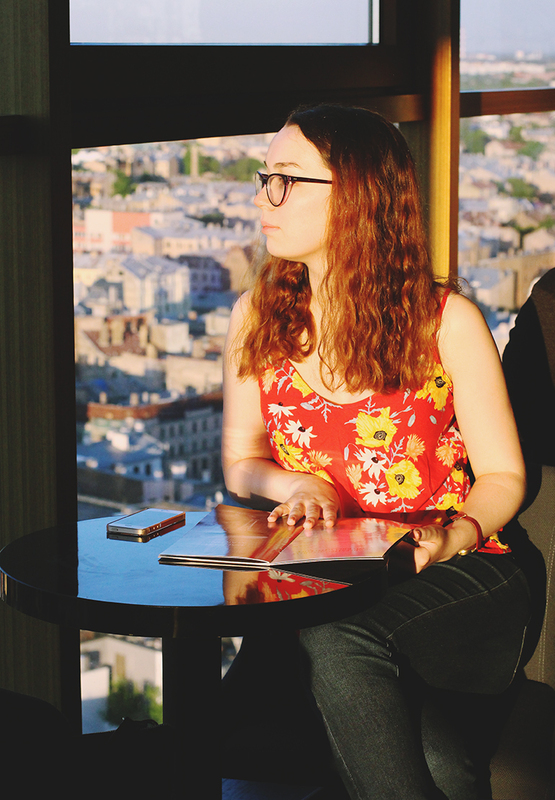 Hayley was the perfect travel companion and hopefully after she returns from her year in the States, we'll be planning another Eastern Europe adventure. Neither of us had ever been to Latvia so we didn't know what to expect, but it was clear within the first couple of hours that it wasn't at all what we expected. For one thing, it was bloody boiling. Thank God Hayley was prepared with suncream! For another, it instantly felt like the most chilled out, welcoming city. Not that we anticipated otherwise, but it was surprising to settle into a foreign city so quickly. 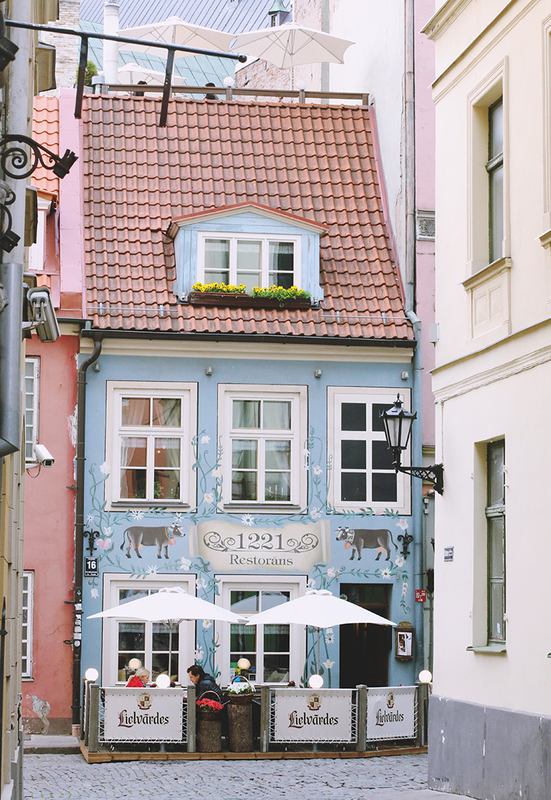 In some ways, Riga reminded me of the Netherlands. Obviously they're two very different cities, but they have a similar atmosphere- one that's friendly and easy-going. 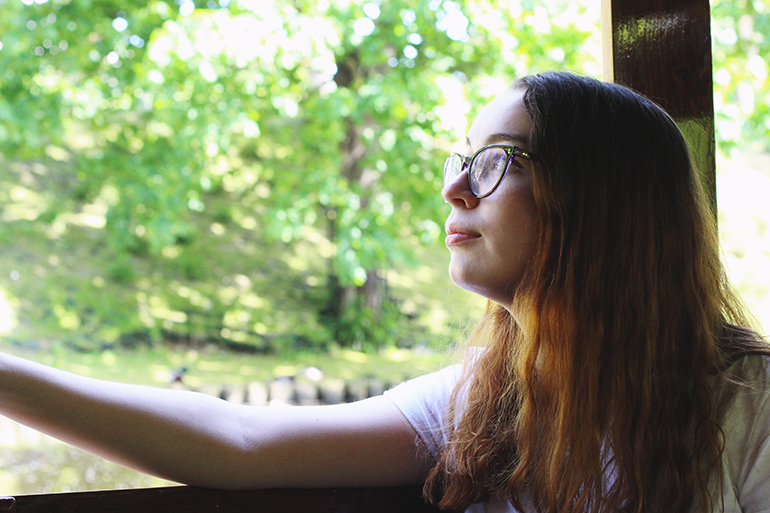 On our first day, we sat in the Bastejkalna park next to the river, watching the boats sail past (including the one pedalo that we saw every single day but could never work out how to hire), and soaking up the atmosphere. 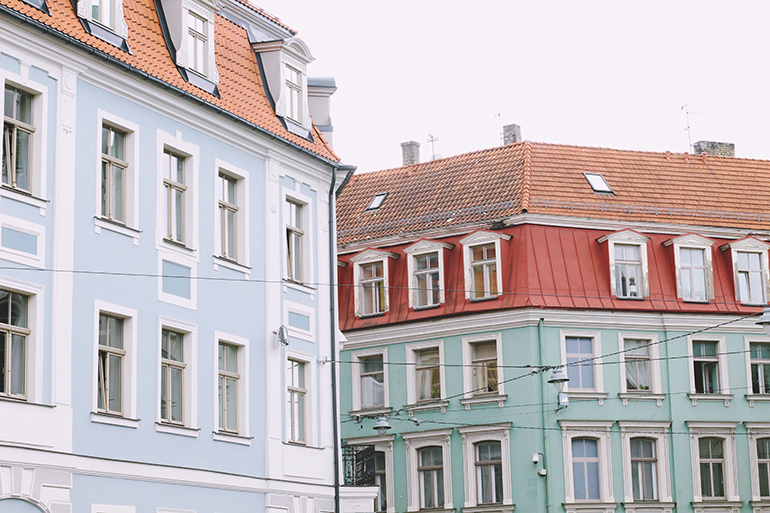 Being used to the pace of UK cities, it felt like everything was much more relaxed in Riga. To really take advantage of this slower pace of life, we took a boat ride along the Pilsētas Canal. Over the weekend, the boats were crammed with people but we went on the Monday and shared with just two other couples. This was perfect because one group took the back of the boat, the other took the front, and we had the whole enclosed centre to ourselves. Bobbing along the canal, using our paper maps to locate landmarks, was the most relaxing way to spend an hour. Obviously, value is subjective but since the UK is ridiculously expensive, the prices in Riga seemed impossibly low. We stayed in the 4* Wellton Centrum Hotel and it was wonderful. It was on the more expensive side for accommodation in Riga but we were drawn in by the pool and boy, were we glad of it when we got there! After a day sweltering in the heat, going back to the hotel and splashing about in the pool or relaxing in the hot tub was just what we needed! The location was perfect- right in the centre of the city, less than a mile from everything we wanted to do. Breakfast was included and we even had dressing gowns and slippers in our room- the true sign of a fancy hotel! The price for all this? £30 each per night. Amazing! This value was also apparent across the city. On average, a full meal with a couple of drinks came to less than €10 each. Because the city is small, you can pretty much walk everywhere but the 20-minute taxi ride from the airport cost €11. 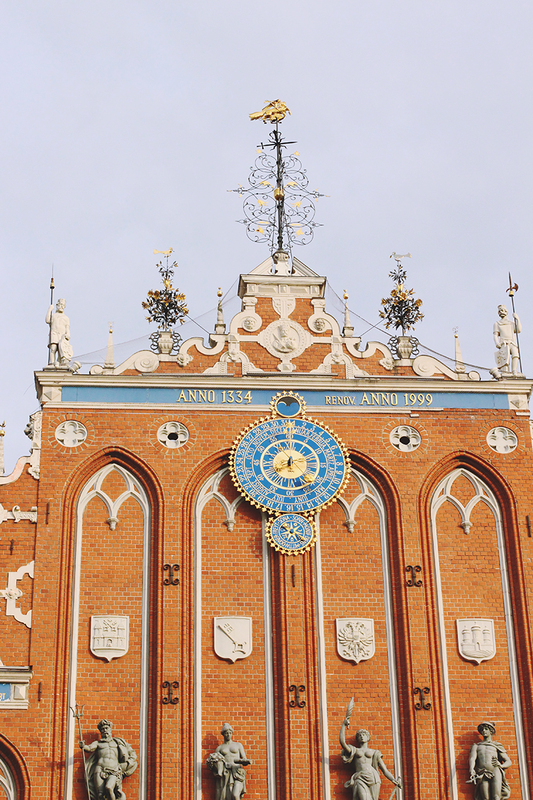 It's not just that Riga is cheap, either. Although the prices are low, the quality is amazing (apart from the taxi I got back to the airport, where the driver took both hands of the wheel and looked at his phone to take a call while on the motorway and I thought I was actually going to die). Everywhere you look, there is public art. Sculptures and statues everywhere. 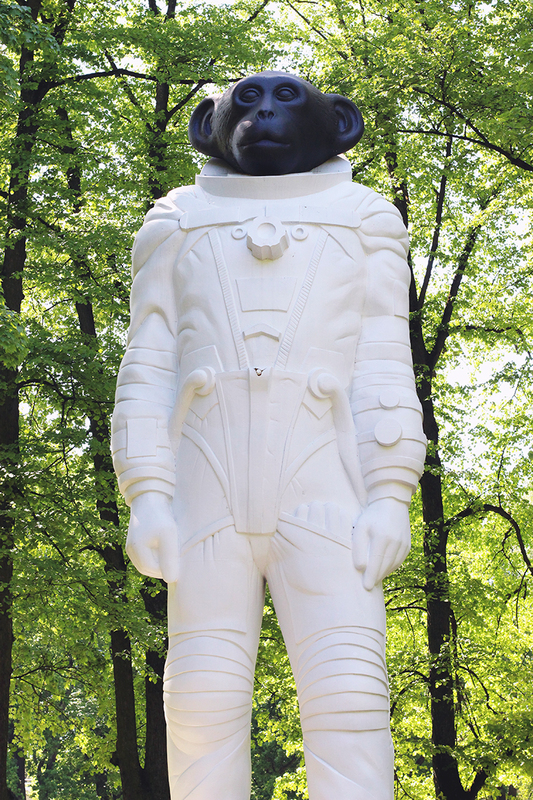 My favourite was the fat disco ball lady, but Hayley had her heart set on seeing this huge space monkey. We met up with Annie, a Latvia friend of Hayley's, to show us around the city and she said her friend knew exactly where this monkey was. After a quick phone call, Annie led us off to the park in question. As I've already said, it was hot, and this park was a fair distance away. On we trekked, until we reached the park. As we entered, Annie approached a couple on the beach to ask if they knew where we could find the monkey (at least, I presume that's what she said- my Latvian is pretty rusty), and they looked at her as if she was an actual space monkey herself. So that would be a no, then... We kept on, and started to think that the monkey was no more. Stopping to Google photographs and locate landmarks in the background, we came across an article that said it was a temporary installation and would be removed late 2016. Uh-oh. Just as we were giving up hope, Annie said 'these guys look like they'll know the space monkey' and bounced towards the group of teenage skaters. When they started looking animated and pointing further down the path, we breathed a sigh of relief. Annie was right- they definitely knew the space monkey and, following their directions, we finally got our first glimpse at the elusive primate. I'm not entirely sure how he was so hard to find because he's bloody massive. 40ft tall massive. I had to admit, when we were sitting in the shade opposite and challenging school kids to throw water bottles over the monkey, it was worth all the effort. Plus, we got cracking Instagram photos out of it. It's not all fat disco ball ladies and gargantuan space monkeys, though. 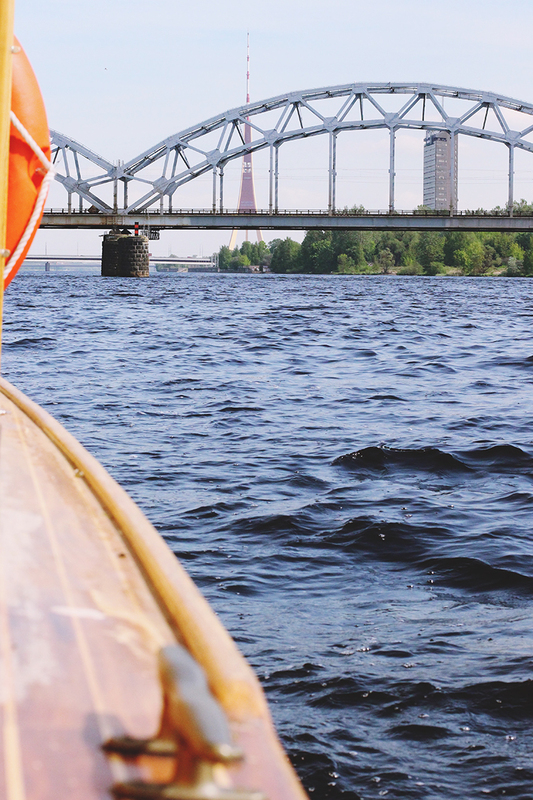 Riga has a rich and difficult history, including constant occupation from 1940 until 1991- mostly Soviet, except when the Nazis seized control between 1941 and 1944. 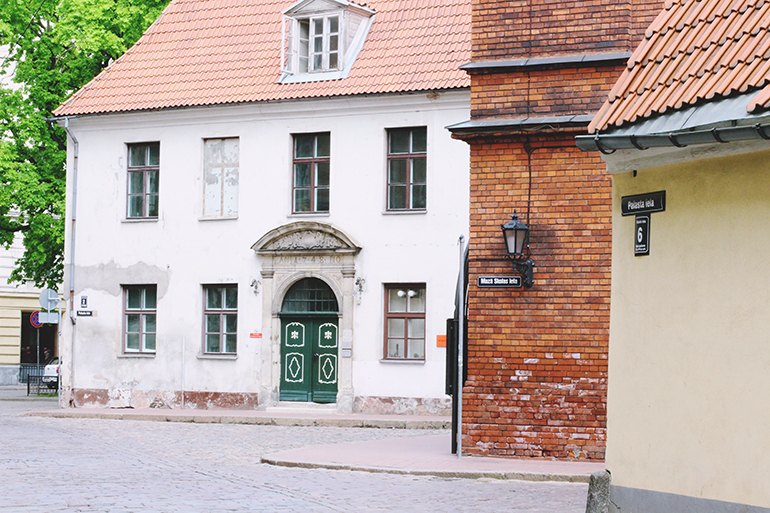 There are several museums dedicated to this period of Riga's history and I tried to visit three of them: the Museum of Occupation, the Latvian Holocaust Museum and 1991 Barricades Museum. However, all three were closed during our trip so make sure to check opening times carefully if you intend to visit. 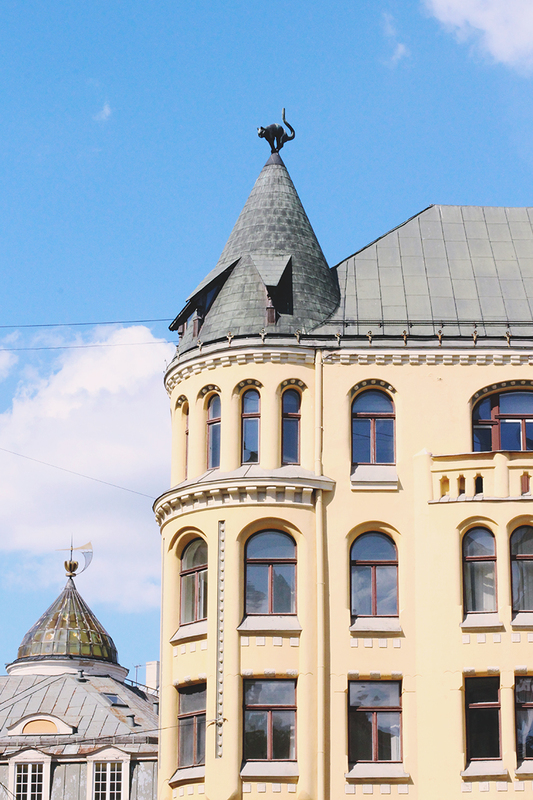 On a lighter note, Riga's culture is visible in the beautiful architecture everywhere. 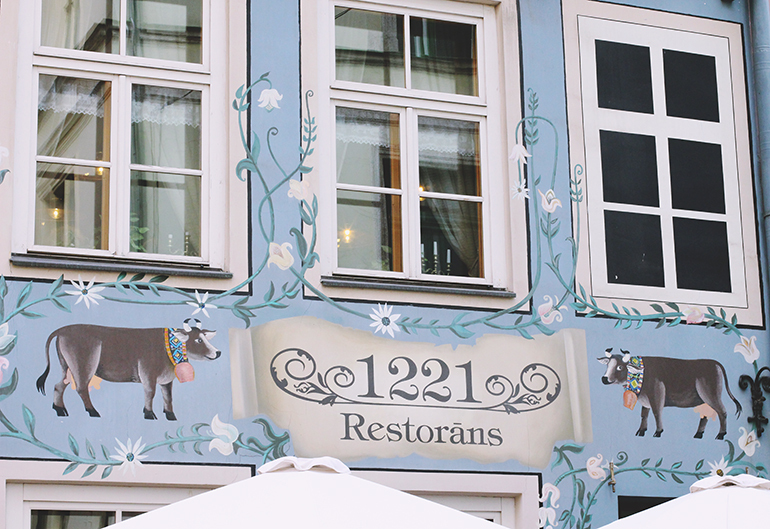 The old town is filled with cobbled streets and pastel coloured houses, while the Art Nouveau district has ornately decorated houses everywhere you look. It's a blogger's dream! 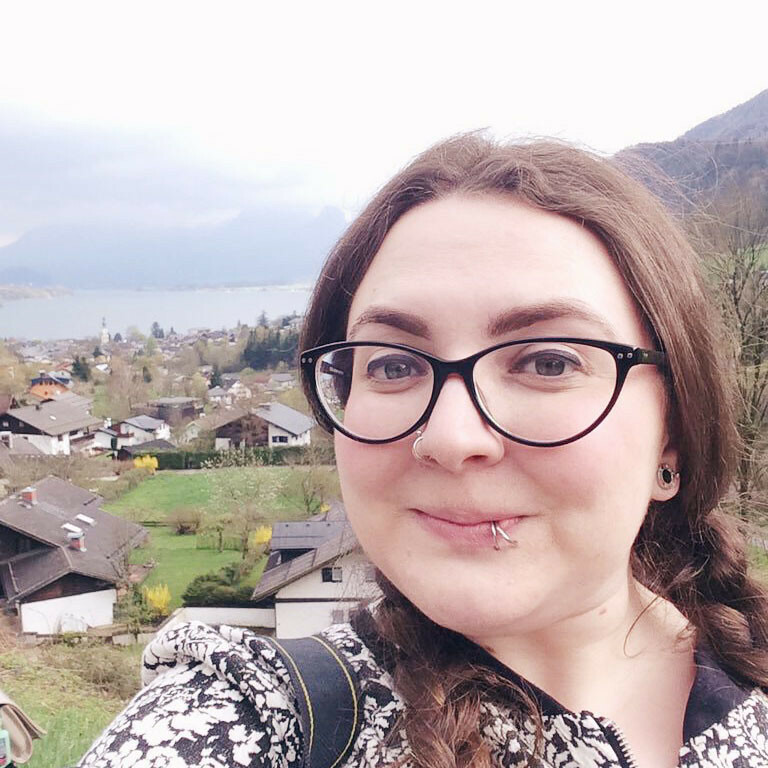 On the last day, after Hayley had gone to the airport, I took a €5 trolley tour and it was a great way to see the beautiful buildings of the city while sitting back and relaxing. 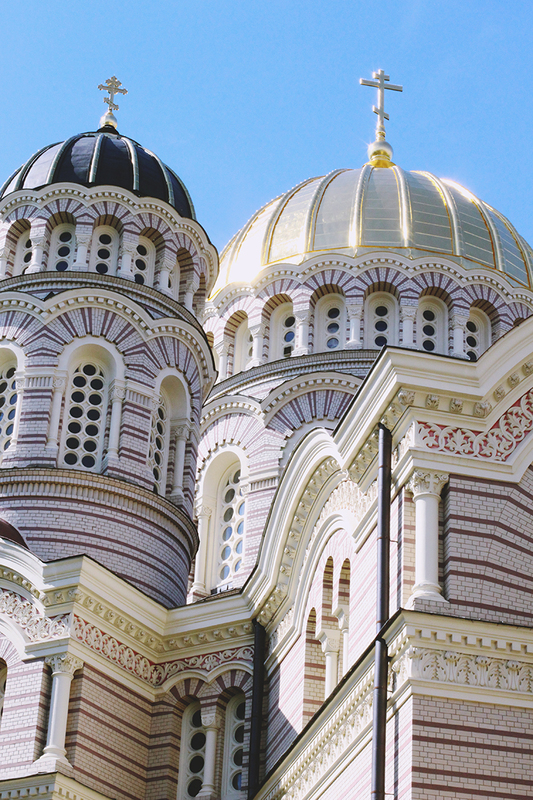 It seems that there is a church or cathedral on every street, but none are as impressive as the Nativity of Christ Orthodox Cathedral. The whole roof is plated in real gold and it was gleaming in the sun so brightly that it made my eyes a little sore to look at. A sign outside asks that you cover your knees and heads, which Hayley and I dutifully did, but a lot of people didn't bother, which made us a little uncomfortable. Inside, the most beautiful art covers the walls and ceiling, and you can buy candles from the shop to light in front of various saints. Unfortunately, we didn't realise you could buy them at the shop until we left, and had found boxes of candles underneath each stand so were taking them out of that. It was only after that we realised these were the discarded candles. Whoops! 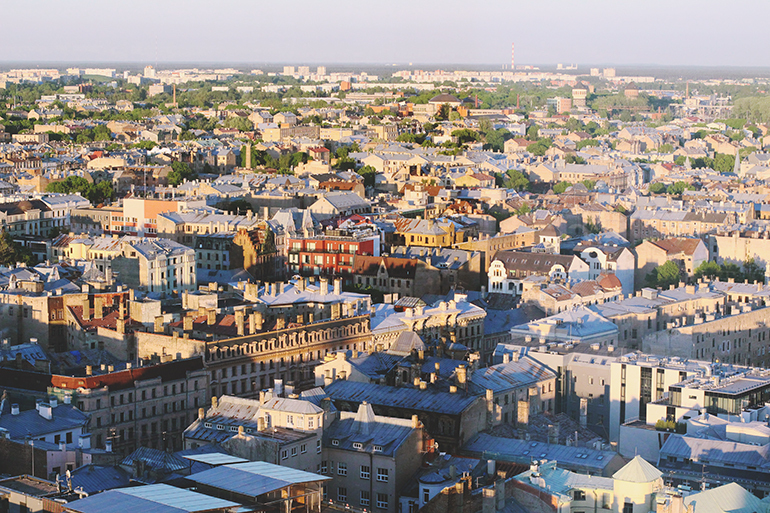 For a real sense of the beauty of Riga, there are at least four observation towers: the radio tower, the Latvian Academy of Sciences, St Peter's Tower, and the Radisson Blu Sky Bar. We tried the latter two and they were very different experiences. St Peter's Church is right in the centre of the old town, so the view is absolutely stunning, and the tower is part of the historic building. However, it was absolutely rammed with people and at €9, it was very expensive to go up, when you consider the cost of everything else. The Sky Bar is further afield, so you can't see the old town too well but it's free (at least during off-peak times) and you can chill out in a comfy chair with a cocktail. It's pretty obvious which of these is the better deal! 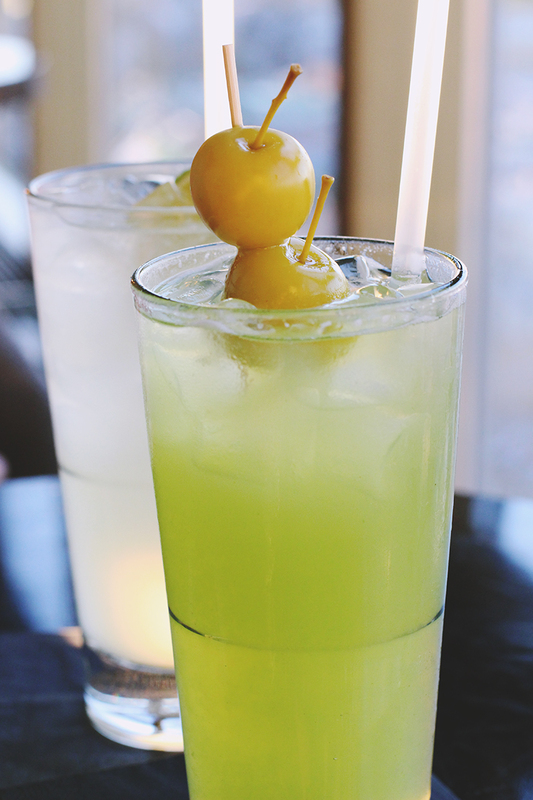 Because the hotel is so expensive, the drinks are far more pricey than in the city restaurants, but it's definitely worth it. We went in the evening so we could see the sun set but, being so far north, it's surprising how long it takes the sun to dip below the horizon. We stayed over two hours in the end, but it was a really lovely way to chill out in the evening, and the view was sensational. A word of warning, though: the lift up to the 27th floor is glass and absolutely terrifying. Just close your eyes and pray for it to end shortly! As beautiful as the Sky Bar was, it competes with a huge number of amazing restaurants in the city centre. 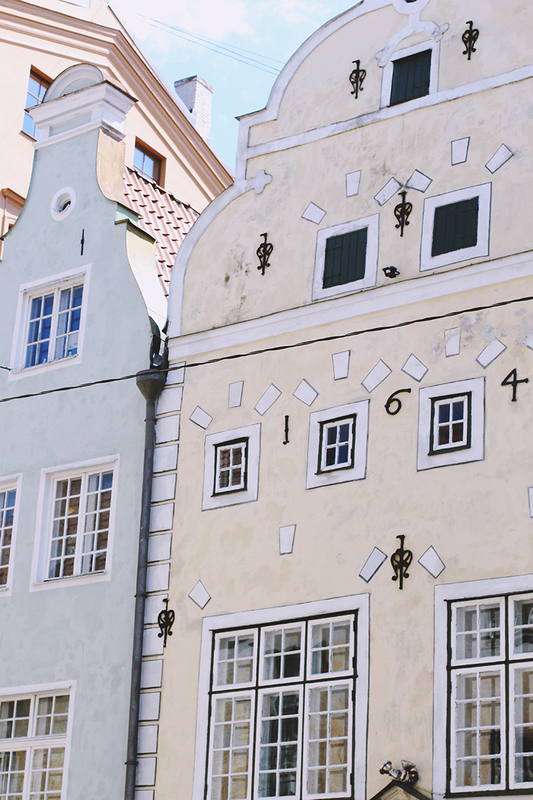 Seriously, Riga is a city of pretty buildings and a million restaurants! 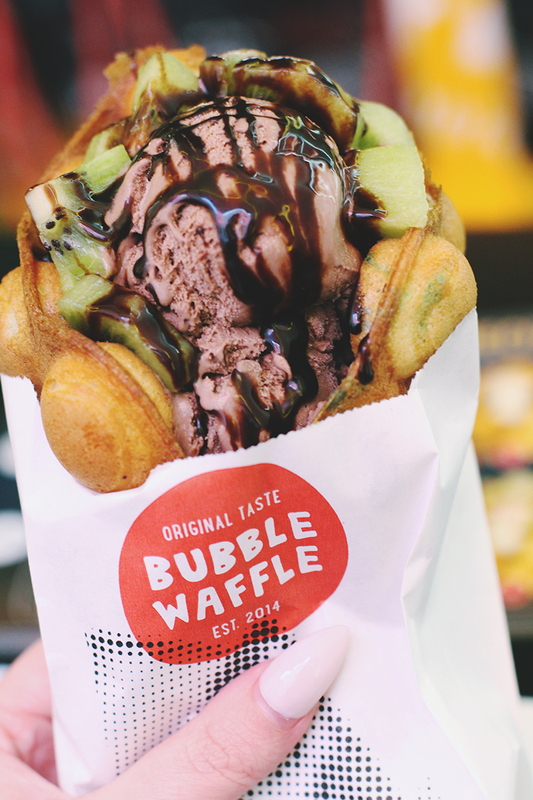 Opposite our hotel was a place called Bubble Waffle which unfortunately has some bad reviews on Trip Advisor, but we loved it so much that we went twice. Imagine an ice cream, except the cone is made of waffly bubble wrap, and every bubble has a delicious filling. It was divine, and you get to design your own product. My favourite was chocolate ice cream with M&Ms inside the waffle, Nutella dribbled over the whole thing and topped off with a toasted marshmallow. Heaven! 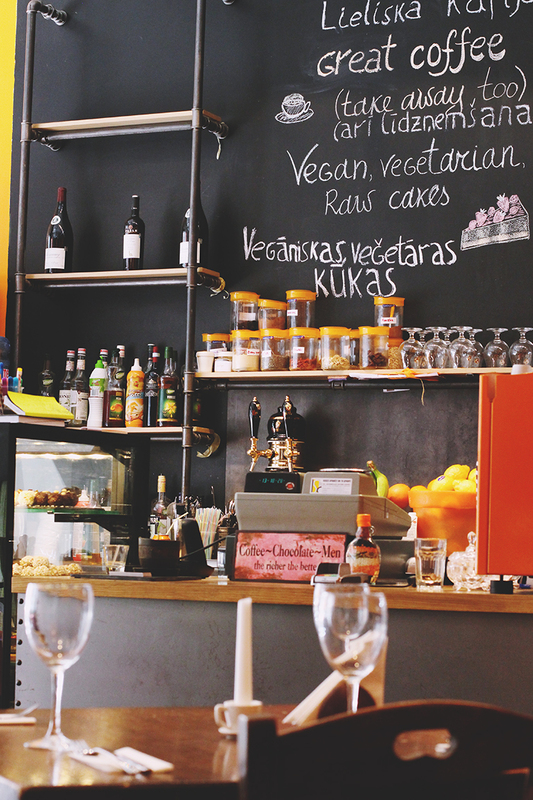 We also tried vegan restaurant Fat Pumpkin. Confession time: I'd never been to a vegan restaurant before because I had a preconception that it would be all salads and smoothies. Fat Pumpkin proved me wrong! I had the veggie bolognese and it was absolutely delicious! After a little research before hand, we'd both thought that Street Fries looked good- an American themed place with a great reputation for pancakes. Turns out this reputation was well deserved. Yum! My favourite place, however, was called Omas Briljanta, which Annie told us translates to 'Grandma's Brilliant'. 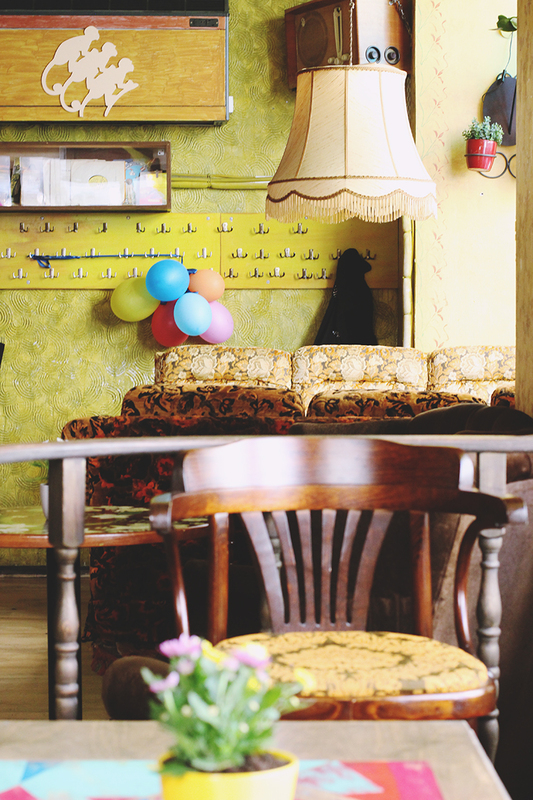 It's styled like a grandma's living room, with a hotchpotch of 1970s furniture and the most comfortable armchairs ever. When Hayley had headed home, I returned here for lunch and had the most amazing Mexican burger with chilli cheese bites. To keep you occupied while you drink, they have a load of board games so we had a couple of rounds of Jenga. Seriously, go here. It's great! Have I convinced you yet? 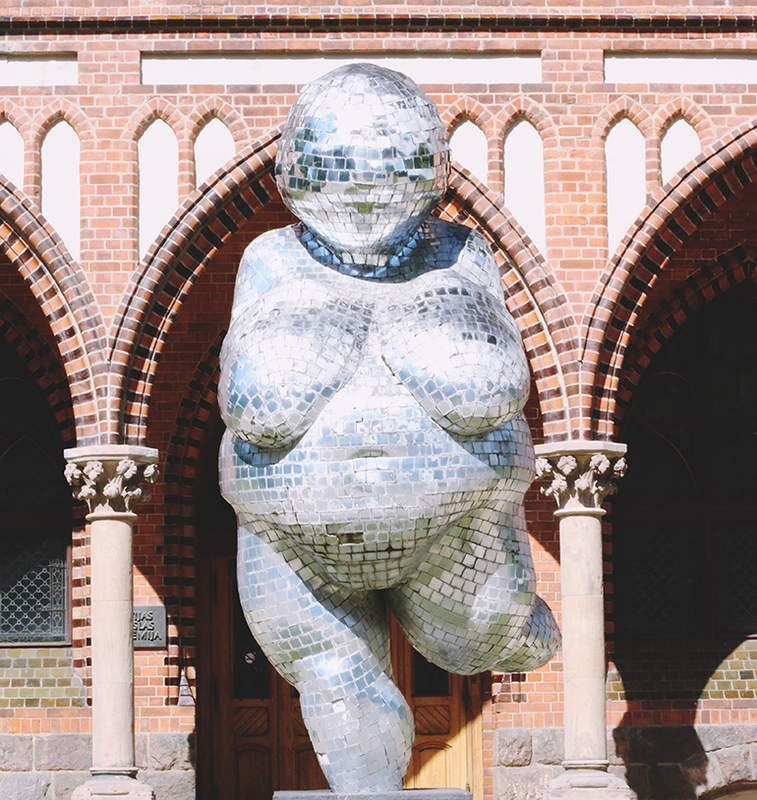 I had no idea what to expect from Riga but it turned out to be a wonderful city that I would absolutely love to return to. If you're looking for a small city with loads to do but a really laid back vibe, you need to book a trip now! Riga looks so stunning! It's been on my list for a little while now, and I'm glad to hear you enjoyed it so much. I really love this whole post - thanks so much for sharing. I'd never have considered Riga, but it looks so beautiful. Your photos are stunning. I'm so glad you had a good time! Seeing all the photos and stuff when you were there had already pretty much convinced me! But omg now it's like an absolute necessity haha. It really does look like such a lovely place - so far from what home is like. Riga look beautiful, it's really high on my list for sure and hope I get there soon - especially now I've seen your desserts! Riga was my absolute FAVE of a city. just a BABE! How cute is that little restaurant! When we go back (not if) we should go eat there! Riga is a beautiful city. 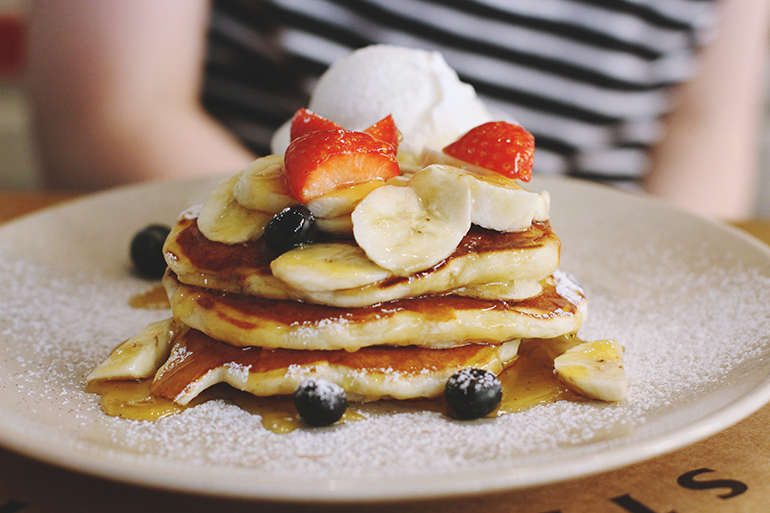 When I was there in 2010 I got hooked on blini pancakes. Also went to a spa in the town of Jurmala, a short train ride away.